What Property Lessons Did You Learn in 2016? No Comments on What Property Lessons Did You Learn in 2016? It’s been another interesting year in property. Some properties investors have done very well, but many have not fared as well as they would have liked. So what lessons can we learn (or relearn) from 2016 to make our investment journey smoother in 2017. Kate Forbes, National Director Property Strategy at Metropole believes obtaining finance will be a big stumbling block for many investors in 2017. “My biggest take out in 2016 has been the change in the lending environment and the availability of finance for property investors after APRA’s tightening on credit extension. “The rules of the game changed significantly, meaning even some investors with large equity balances and strong serviceability have struggled to obtain finance to grow their portfolios. ‘Whilst the rules of the game will continue to change and APRA’s stranglehold on credit extension will eventually relax, it highlights the significant opportunity cost in having underperforming assets in your portfolio. ‘If you can only afford to have 3 or 4 properties in your portfolio, make sure they are all “investment grade” properties that are working hard for you. George Raptis, director of Metropole Property Strategists in Sydney was reminded the importance of local market factors in supporting a property’s performance. “Despite all Australians enjoying the same low interest rate environment, the same tax system and the same government, some property market outperformed others significantly in 2016. “It was really a two horse race with the Sydney and Melbourne property markets strongly outperforming all other markets, underpinned by their robust economies and strong population growth. “It’s a fact that 57% of our population lives in NSW (32 %) and Victoria (25%) and these two states accounts for 54% of Australia’s economic activity. “Currently around 1,400 people are moving into Melbourne each week. Similarly, around 1,100 people move into Sydney each week. Remember…all these people need to rent or buy a home. “My tip for 2017 is to invest where economic growth and jobs growth will lead to demand for properties by an increasing population of people who can afford to pay higher prices. Shannon Davis, director of Metropole Property Strategists in Brisbane was again reminded how fragmented our property markets are. 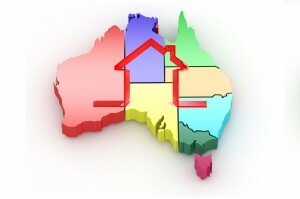 “A lot has been made of the strength of Sydney and Melbourne and the underperformance of other markets, however it must be remembered that in each State there are multiple property markets, defined by geography, price point and type of property, each at their own stage of the property cycles. “Yet most reports generalize about “the Sydney property market” or “the Brisbane market”, but not all properties are the same and one can’t count on the rising tide to lift all ships. 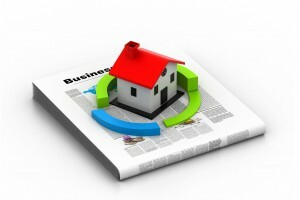 Careful property selection is critical for investment success. “For example in Brisbane while well located houses have grown in value, the value of many apartments have faltered as Brisbane struggles with an oversupply of new and off the plan CDB and near city apartments. Ken Raiss C.P.A. – Director of Metropole Wealth Advisory suggests that strategic investing is about reducing risk to maximise returns. “The lesson this year is nothing new – while strategic investors structure their purchases to protect their assets and maximize their cash flow, most investors put little thought into which entity should own their properties. 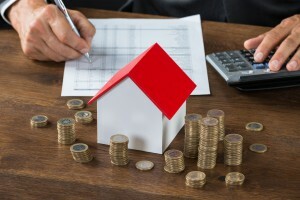 “As real estate is a long term affair, the name in which you buy your property investment can have significant ramifications when it comes to managing future cash flow or when it’s time to sell up. 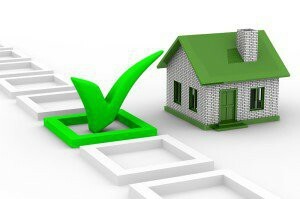 “The correct use of an appropriate trust to own your property could give you flexibility, improved your taxation outcomes and allow you to effectively manage changes in your personal circumstances. “As your life situation changes, from say a junior employee to being a business owner, you inherently move into a more litigious path, so it makes sense to set up the correct structures to minimise your risks right at the very start. Do you have sufficient financial buffers in place? Do you have a will or a power of attorney? Do you have sufficient life and income protection insurance? Are your assets owned in the right name? Did you know that equity in assets owned in your own name can be protected against personal litigation without the need to transfer the property which would incur both a capital gains tax and stamp duty imposts? These strategies do not require changes in title or refinancing and are relatively simple and cost effective. Brett Warren, Property Strategist at Metropole Property Strategists in Brisbane suggests you look beyond your back yard when buying property. “Over the years I’ve come across a large number investors who strictly buy in their own state because it’s in their comfort zone, rather than because it made good investment sense, often to their detriment. On the other hand, those investors who have diversified property portfolios have benefited as different capital cities each had their own day in the sun – as their cycles peaked at different times. One of the benefit of this diversified strategy is that you always have one or two properties that are growing in value strongly allowing you to approach the banks for more finance. My biggest tip for 2017 would be to have an independent property strategist help you assess your portfolio’s performance. By looking at your investments like a business they may see opportunities that you have missed, or give you advice on which underperforming properties to dispose of, allowing you to acquire better performing properties. What’s your biggest learning from 2016? I see every year as a time for learning and personal development – that’s one of the best parts of being involved in the property markets. What lessons did you learn in 2016?